Racism, bullying, bigotry and violence remain a challenge for our communities – and our youth have something to say about it. Thanks to a groundbreaking program partnership between Roots of American Music, the Maltz Museum of Jewish Heritage and the Rock & Roll Hall of Fame, youth have a unique opportunity to speak out against hate. We want your school to be part of it. 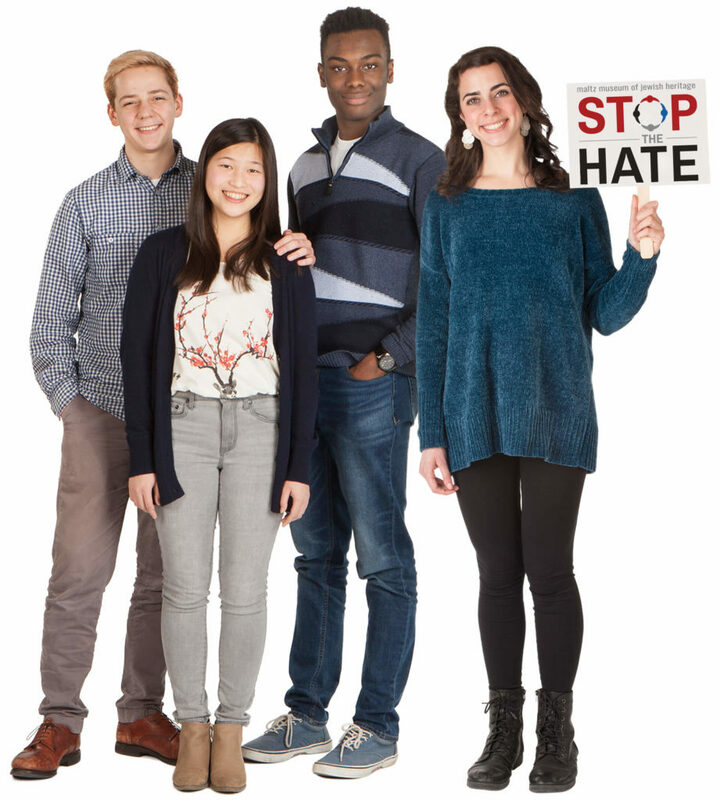 Stop the Hate: Youth Sing Out allows youth in area middle schools and high schools to engage in this difficult topic, learn more about how hate affects us all, and become a voice for tolerance in their communities. Participating students will not only have a powerful cultural and educational experience, but will also learn to be advocates, to express themselves and to become agents of change. Our program begins with a very special visit to the Maltz Museum of Jewish Heritage, where expert staff provide a Stop the Hate tour, giving insight into the context of hate and racism in our culture. Taking this knowledge back to their classrooms, students reflect on issues of diversity and tolerance, and work with the expert artistic staff from Roots of American Music to create their own original compositions on these themes. All of the participating schools come together at the Rock & Roll Hall of Fame, where students take the stage to present their work to each other, to share and learn with and from their peers. One winning middle school performance and one high school performance will be awarded cash prizes and invited to perform again at the Maltz Museum’s annual gala event. Last year, more than 1,400 students from area schools participated, including Cleveland Metropolitan School District, Cleveland Heights-University Heights School District, East Cleveland and Lakewood City Schools and schools in Lorain County. This year, we want your school to be one of them!